This grande, majestic wall mounted fan mirror will be the pièce de résistance as it crowns your mantelpiece adding a rustic Georgian feel to your living room or wall way. 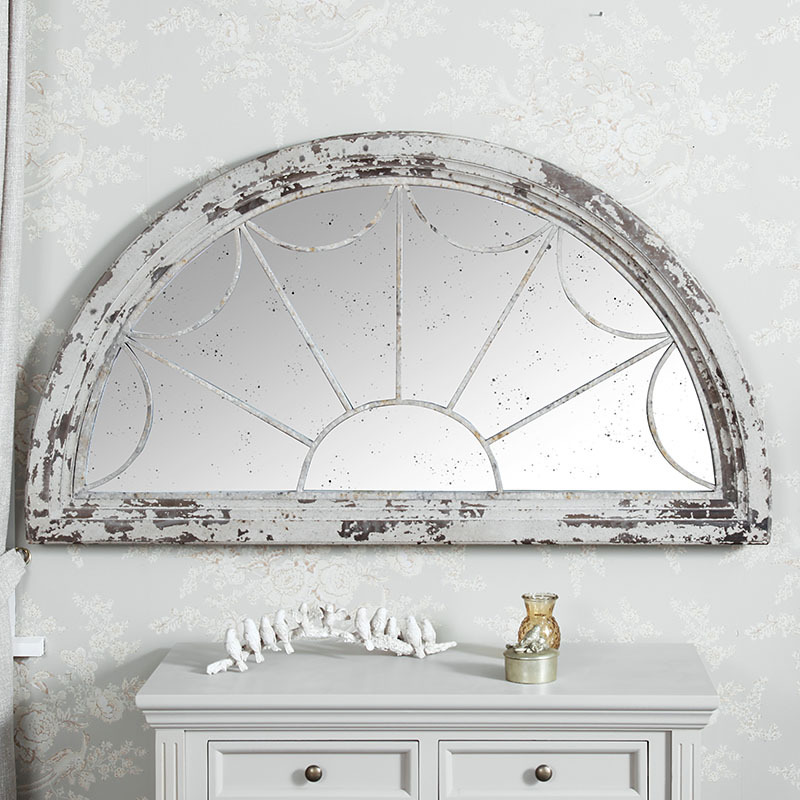 With a harshly distressed frame to add to its aged look this is a perfect mirror for any industrial or rustic home interiors. The glass of the mirror showcases a foxed glass effect which is the perfect finishing tough to this beautiful vintage masterpiece. This grande, majestic wall mounted fan mirror will be the pièce de résistance as it crowns your mantelpiece adding a rustic Georgian feel to your living room or wall way. 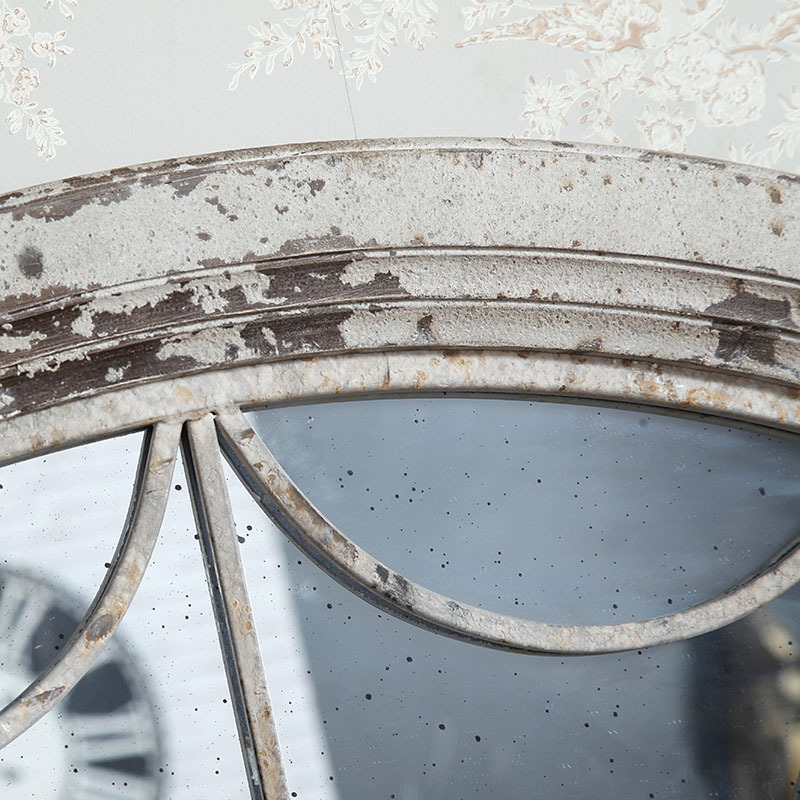 With a harshly distressed frame to add to its aged look this is a perfect mirror for any industrial or rustic home interiors. The glass of the mirror showcases a foxed glass effect which is the perfect finishing tough to this beautiful vintage masterpiece. With 2 hooks fitted to the rear to help with wall hanging. Please note due to the weight of the mirror we advise using correct and adequate wall fixings to ensure safely hung. Whether you looking for dressing table mirror, wall mirror or leaner mirrors of different sizes, we are sure you will find your match with us. 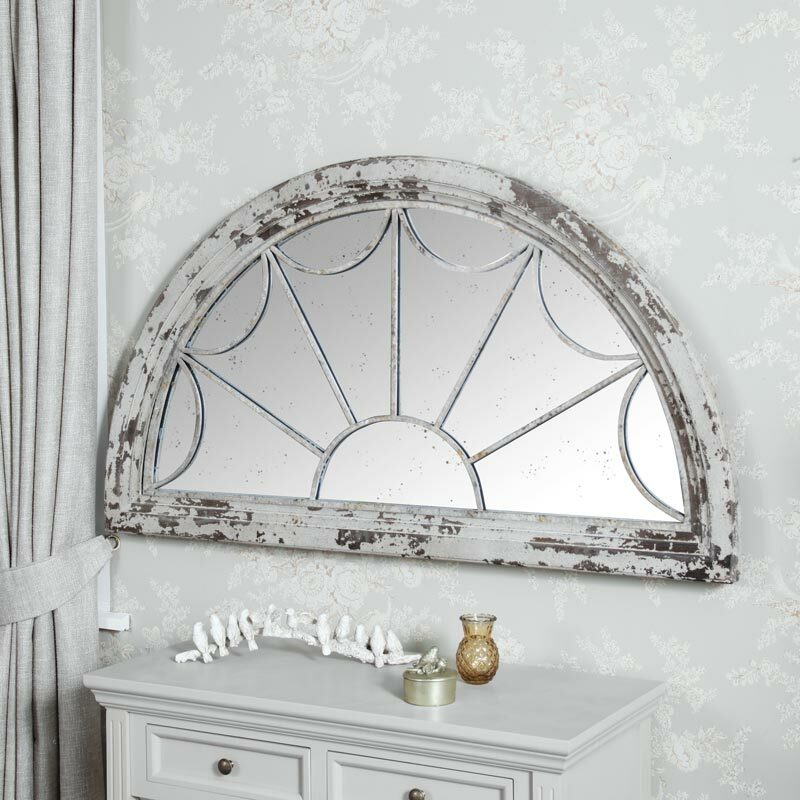 Simply type in 'Mirror' in search and have a look at our extensive range.